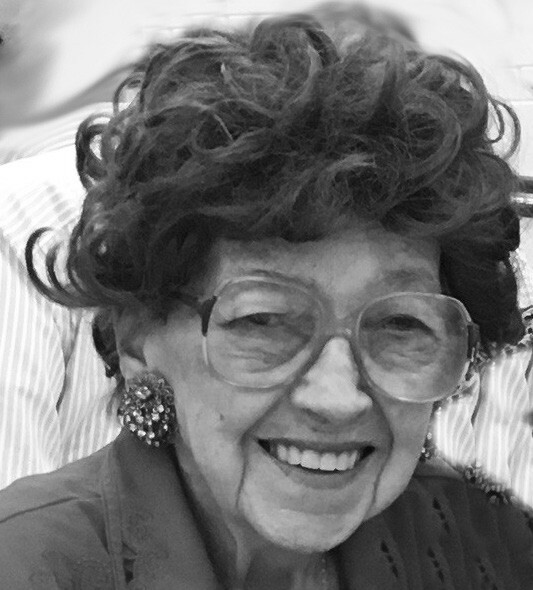 Lois Merle (Peggy) Pegg Beck was born in Oak Island, Texas on August 3, 1929; went to be with the Lord on August 26, 2018; at the age of 89. She is preceded in death by her parents Walter Jett and Ruby Ola Knight Pegg, her beloved husband Reece Davis Beck, her precious granddaughter Kourtney Lynn Beck and her devoted son-in law John L. Deans. She is preceded in death by her siblings to include: Ruby Ruth Turk, Mildred Irene Schauteet, Florence Jane Beck Deckert, Walter Nelson (Skip), and Ola Joyce (Puggy) Kosler. Survivors include her loving children: Jane Elaine Beck Deans and Reece Nelson (PeeWee) Beck, granddaughter Amber Beck-Snow and her husband Brian, grandsons Seth Beck and Gage Beck. Four greatgrandchildren to include Harlow, Ella, Jaxon Reece and Ava Snow. Survivors also include a wonderful host of nieces and nephews, friends and relatives. She is also survived by her loving and devoted niece Merilyn (Merly) Ruth Turk whom she adored. They basically took care of each other in many ways throughout life with moral and spiritual support as they pondered with insightful conversation during the loving cackling sessions that only these two hens shared. But Merly was there for mama in later years as an outlet to inner peace and a constant source of security and compassion as they traveled together. She played a vital role in driving Miss Daisy on grocery runs, a stop at Sonic, a cone from DQ…and a long ride down the road to the local Dollar General Mall. Each visit to include neverending rounds of Yahtzee or Scrabble…all the while offering solutions for world peace and providing personal solace to each other from the outside world marked by a parameter of Mama’s gate… except those once a year ( and sometimes twice) jaunts to the big motel on the hill way up north at the exit to Boerne where Laurie was an integral part of our laughs and giggles at each visit. Mama and Merly had a connection with each other that was an amazing gift. If they could not share a talk personally, calling each other to check up on each other was their next step. Merly was an integral part of our mom’s life and ours for as long as we can remember. She is in every family picture, in every family memory, and as she is understandably one that is experiencing a very significant and immediate loss at this time, we hold Merly very close to our hearts with gratitude and love in every way. Peggy had an inner beauty that far surpassed her physical beauty. She was a survivor in spirit that held true with her faith in God and her love for her family and friends which included all of the Knothole Gang (Godfreys, Mahulas, Strouds, Theises) that gathered at each other’s homes for a small get-together or special celebrations. Peggy was raised with a significant and caring touch by her mother, Ruby, and a hard-working and determined dad that played a strong role in her outlook, as well. She was number six in a line of seven. Her perks from being on the younger end stemmed around the enduring love and attention she received from her grandfather, Walter M. Pegg aka Grumpy. The love and attention he shared with her and her younger sister (Puggy) helped these two carry a special bond throughout their lives. They became interchangeable parents for each other’s children, which was a blessing. Peggy was very loving, funny, and intelligent. She graduated at 16 from Poteet High School in 1946 and pursued her Associates Degree at San Antonio College where she was crowned Miss San Antonio College of 1947. She then went on to teach at Tablita school in a one room schoolhouse which is now a historical part of the ECISD. Later she attended SWTSU where her mother had also when it was formerly known as Southwest Texas State Teachers College. She became a stay at home mom once her children were born and then returned to teaching where she taught at Southside ISD for a good while. Once her husband retired they enjoyed the travels of visiting their kids in different places throughout the states which included her first flight ever which was to Hawaii. She was so proud to be able to bring three of her sisters with her that time. These travels always led back home to South Texas where mom spent her life. When others would speak of wanting to go to different places, she would always respond that family and her little home in Texas was all she needed. She called it her little cottage in the country. The other home that she would refer to with fond and loving thoughts was the two story on Jett Road just across from her church. She was able to walk to church functions at Oak Island. She was baptized here. She was married here and she was comforted in knowing that her final resting place here on earth would be at the little brown church in the wildwood. Her love for her family was unfailing but her love for God’s word and guidance were among her most admirable traits. She found comfort through trials and joy through celebrations knowing that Jesus was beside her in her journeys. She always sought opportunities to share that love and express her support through unfailing prayer for others, especially her son and daughter who will mourn her loss deeply, but will continue their walk ahead with an affirmed strength by her example. A favorite reading of hers was” If he actually walked by your side would you be worried or afraid? Well, then say to yourself…. He is with me.” As she is embraced by our Lord we know that she would want to share that love for him with all of us. Visitation: Wednesday, August 29, 2018 from 5:00 p.m. – 8:00 p.m. at Mission Park Funeral Chapels South. Funeral service: Thursday, August 30, 2018 at 10:00 a.m. at Oak Island United Methodist Church. Interment followed at Oak Island Cemetery. For personal acknowledgement, you may sign the online guestbook at www.missionparks.com in the obituary section.